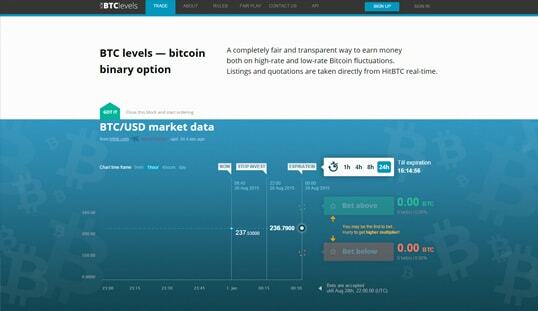 BTCLevels offers a user-friendly trading platform designed for Bitcoin binary options, enabling users to invest and profit from BTC market movements. BTCLevels went through a major upgrade that better the services offered. That means retaining the necessary and trimming the unnecessary. This resulted in a binary options platform that only accommodates one asset, which is the BTC/USD currency pair. 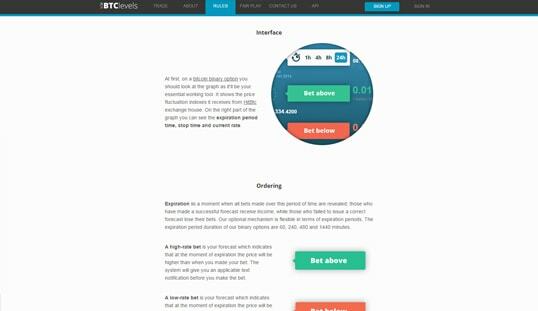 Launched in September 2013, BTCLevels is a binary options broker designed for the Bitcoin market. It runs exclusively on the cryptocurrency and even provides financial opportunities through the market movements of Bitcoin. 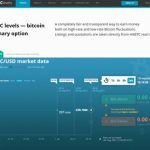 The BTC/USD currency pair is the sole tradable asset on the platform, where traders can conveniently place their investments on either option. Bitcoiners who are familiar with binary options trading should not have any trouble adapting to BTCLevels, and the same goes for the beginners in this financial instrument. The platform maintains its completely fair nature, as well as its transparency. 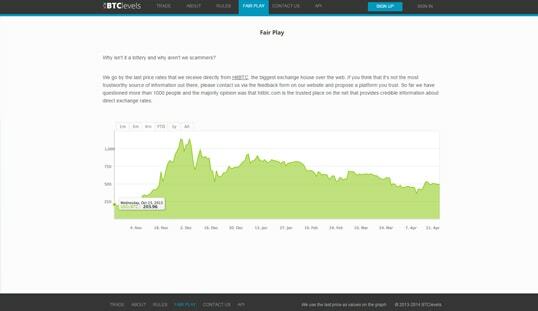 Being new to trading is never a problem since BTCLevels provides a user-friendly interface. In fact, a smart trading mode is given to its clients that let you hedge your positions in no time. In their ‘Rules’ page, you can easily find the complete procedures as well as terms and aspects you have to be acquainted with. Using proprietary software, BTCLevels offers four expiry options: one hour, four hours, eight hours, and one day or 24 hours. Each of these observe a stop invest time, which simply is the period during which bets later than the specified time will not be accepted for that options anymore. 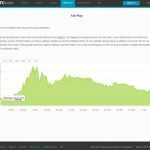 Void of the sophisticated risk-trading tools, this trading platform comes with a real-time chart and uses data provided by HitBTC. To start trading at BTC Levels, two options are given for you to choose from. First is by signing up and the second one is by trading directly without accomplishing the latter. Though registered traders do not have higher opportunities of getting in-the-money trades, they can enjoy a better experience and facilitated functionality. After successfully making an account or obtaining a wallet address, you have to fund your account by sending amounts of bitcoins to the address they have provided which will serve as your personal wallet address. Deposits must be at least 0.01 BTC and withdrawals would need to pass six confirmations in order to be processed. Traders do get customer support through e-mail. Although this is one vulnerable aspect of the site, lack of urgency and notifications on the site make it difficult to get a hold of the latest updates. BTCLevels is currently improving its support feature to give new and existing players peace of mind. Investors may also seek solutions through the contact form.